My name at school and in the Indian Army read Koduvath Reji as our family is known by the name Koduvath. 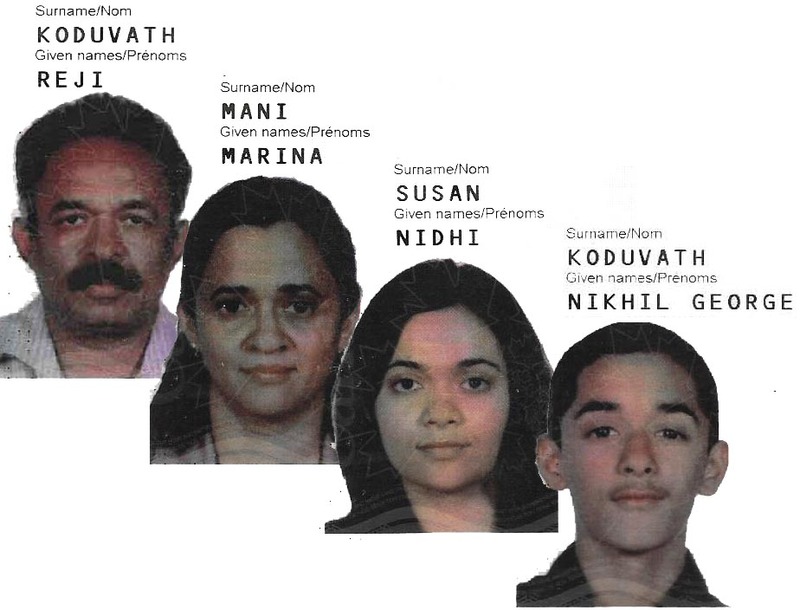 (Please click here to read more about Koduvath family). Syrian Christians of Kerala generally have three parts in their names. First comes the family name, followed by the father’s name and then the christen name. In my case it was only the family name and my christen name. As a teenager, I asked my father as to how we all siblings had only two names and a very short christen name. Being a Headmaster, I got a typical reply from him that the most common question one gets in primary language classes is “What is your name?” He did not want his children to get confused in answering the very first question and hence to make our lives a bit easier, gave us all easy to write names. Think of my plight had my name been a typical Syrian Christian name like ‘Kuruvilla’, ‘Philipose’, ‘Punnoose’ or ‘Zachariah’. 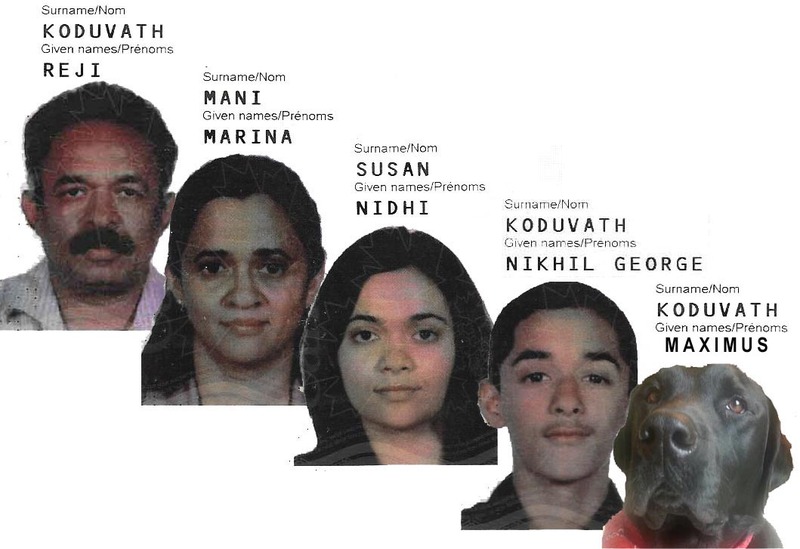 In the Malayala Manorama newspaper in Kerala, one often finds a few change of name advertisements in the classified columns; mainly for women changing their surnames to match their husband’s. In some cases it is to put the surname after the christen name and a few for astrological and numerological reasons. Other than the above, there may be a variety of interesting reasons for a name change. Sometimes someone did not take a liking to the name their parents gave; in some cases the couple would go for a ‘double-barrel’ name, hyphenating the surnames of both the partners. Some do it to Anglicise their names as in a few cases the way their names are pronounced in North America may end up as an unpleasant word in their language or else to make it easier for the folks to pronounce one’s name. At times some feel that their name is a liability while seeking a job and at times it is to beat an identity theft. Our mother, Pallathettu Kurian Sosamma married our father Koduvath Varkey George in 1956. They both were teachers and neither changed their names. Our father believed that everyone must maintain their individuality and identity and marriage is not a sacrificial altar, which demands one to surrender one’s name. Further, the expenses and hassles involved as per him were also not worth the trouble. Hence, none of his daughters in law, including my wife, changed their names after marriage. My wife remained Marina Mani, the surname she got from her father’s name. Many officers in the Indian Army change their wife’s name after marriage at their own will. They had their documentations (Part II Orders) of their marriage done and replaced the surname of their wife with the husband’s surname. It was surprising to many when I insisted that my wife will maintain her maiden name in all her documentations. I realised most officers were unaware of the procedure for a change of name and that a marriage under any law does not authorise a change of name. The soldiers too followed the simple methodology of a marriage Part II Order to change their spouse’s name and the uninformed officers did sign them off! When we had to apply for the emigration process to Canada, the first requirement was to obtain a passport. I conveniently swapped my first and the last names to become Reji Koduvath from Koduvath Reji. Thus I ended up with two identities, one Indian and the other Canadian. The last name did pose a bit of an issue for our daughter in Canada. Whenever she went for any documentation and when she gave her last name as Susan, they would reconfirm it as Susan is a common first name in Canada. On assuming command of the Regiment, I insisted on correct and complete documentation for all soldiers of the unit. There I realised that numerous gaps existed in their documentation, particularly those related to marriage and child birth. In the next Sainik Sammelan (Commanding Officer’s monthly address to troops), I decided to educate everyone about the procedure and need for correct documentation, especially as most soldiers’ families were nuclear and many had moved away from the traditional joint family system. I explained to them the correct legal procedure for a change of name as applicable in India (as also in many developed countries). First step is to make an affidavit for the change of name and submit it to a District Court or a Magistrate. The next step is to publish advertisements announcing the name change in two local newspapers. The last step is to get the same published as a notification in the Official Gazette of one’s state. At the end of it, one soldier from Rajasthan raised an issue that in their area, the second name of every girl was ‘Kumari’ and when they got married, it changed to ‘Devi’. He gave an example that Ritu Kumari after marriage will automatically become Ritu Devi as per their customs. I replied that until change of name is done legally, she would remain Kumari for life. I instructed all officers and soldiers who did change their spouse’s name to complete all legal proceedings for change of name. In Canada, when you visit the family physician or the pharmacy, the search key-field that they use is the last name. I always request them to search with our home telephone number as Nikhil and I have a common last name, Nidhi and Marina have different last names. Once at our Pharmacy, the technician searched with the home telephone number as the key-field and five names came up. She commented that all the three males of the family have a common last name and both the females have different last names. You must be wondering who the third male member of our family is. It is Maximus Koduvath, our dog, who also gets his medication from the same pharmacy based on the veterinarian’s prescription. Maximus is a Canadian and he has to have a last name. Good one Reji. I am a Tam Brahamin – Iyer. As lot of Brahmin bashing was going in 60-70 thanks to the Dravidian movement inTN we stopped using our surname Iyer. ! I fully agree, lot of people dont know the procedure to change the name. In Canada no one knows what is the middle name. This caused some difficulty for the south asian people. Both of my daughters ( Ann Susan & Angel Serah) have only 2 names and no strings attached to either side. poor maximus, if he wants to change his name? Nice read Reji K. Looking forward to more of it. A good one, Reji. Enjoyed reading. Brilliant writing sir. Loved it to the hilt.